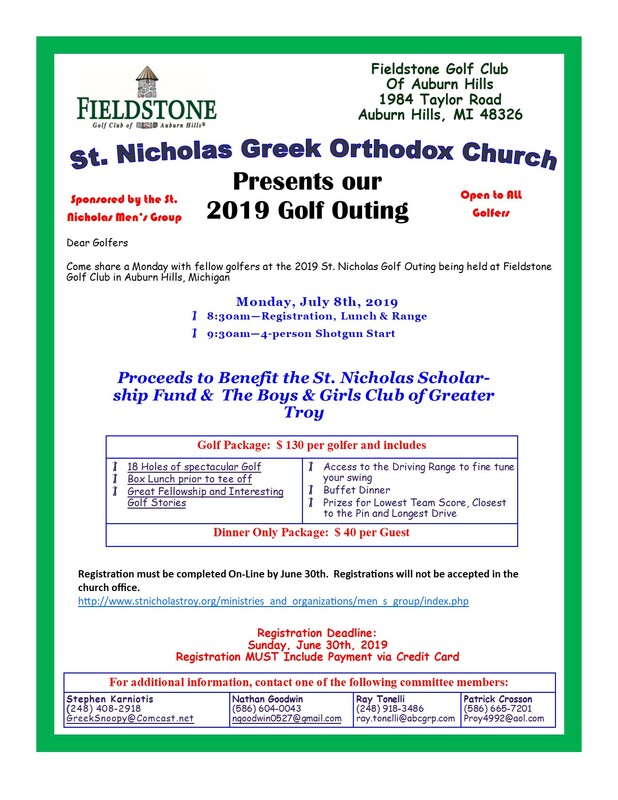 The St. Nicholas Men's Group is sponsoring the annual St. Nicholas Golf Outing to be held on Monday, July 8th, 2019 at Fieldstone Golf Club in Auburn Hills, MI. Proceeds from this year's event will benefit both the Boys and Girls Clubs of Greater Troy and the St. Nicholas Scholarship Fund. Registration is available online only and is open to ALL golfers! Please see the registration and sponsorship flyers below. Click here to register for the event or sponsor portions of the event. 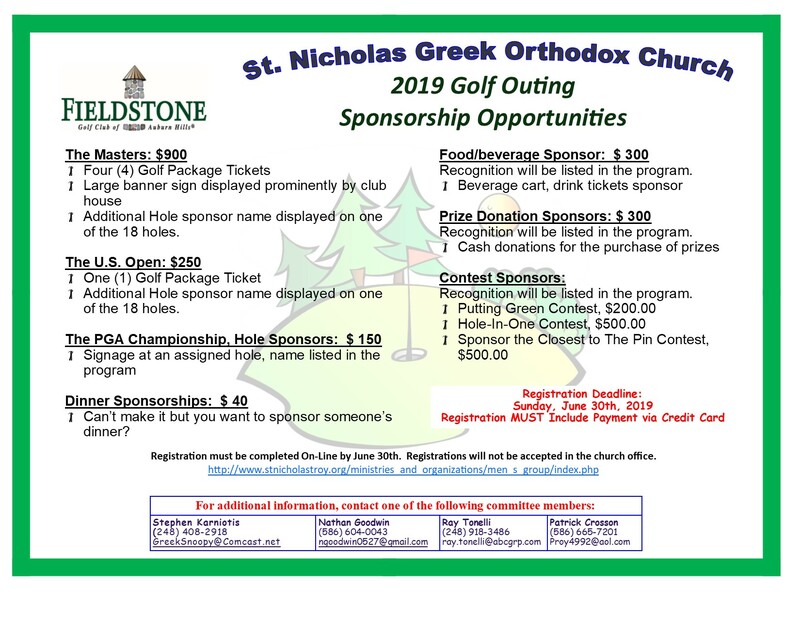 If you have any questions, please see the Golf Outing Flyers for contact information.